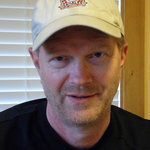 Oh, how you wish you’d started on golf when you were young, when you hadn’t built a lifetime of bad habits into your golf swing, when you still had a chance to learn the game the right way from the beginning. You might be too old to start young – but it’s not too late for your children. 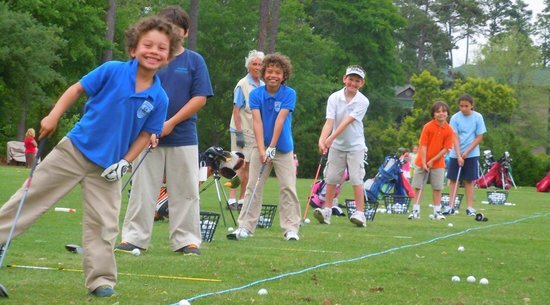 Myrtle Beach boasts a wealth of playing and learning opportunities for junior golfers, from kid-friendly courses to instructional programs to launch young players on the right path – in the short game, the long game and the mental game, as well as introducing them to the etiquette and traditions of golf. 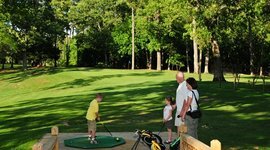 When it comes time to tee it up for a round of golf with your junior golfer, it’s important to remember this key fact: close to 50 golf courses in the Myrtle Beach area offer free rounds to kids with any paid adult green fee. 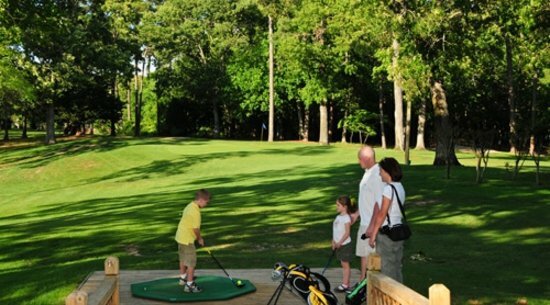 With the kids play free courses as a starting point, there are any number of golf courses in the Grand Strand that offer youth-friendly play: not super-long or punitive, with fewer hazards and a relaxed atmosphere to indulge the potentially slower pace of family golf. This 27-hole complex, designed and operated by golf legend Raymond Floyd, offers three separate nines, each with a different personality: The Lakes, The Cypress and The Waterway. All three feature four sets of tees, so it’s easy for a family to pick the appropriate hole distances for the ability level of the junior golfer (and parents, too). The longest of the three nines, Cypress, is only 3,349 yards from the back tees. So, while the Arrowhead courses are plenty challenging for good players, less inexperienced golfers can have fun here, too. 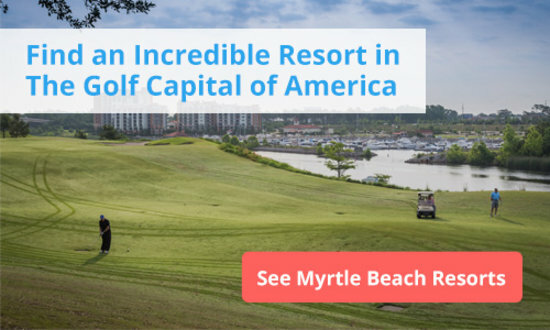 This ultra-affordable short course in the heart of Myrtle Beach offers short-game challenge on its 18 par-3 holes, some as short as 69 yards, but you and your child can get around in less than two hours, which leaves time for a little extra practice on the lighted 51-bay driving range. You can play at night, too: the course itself is lighted in season. 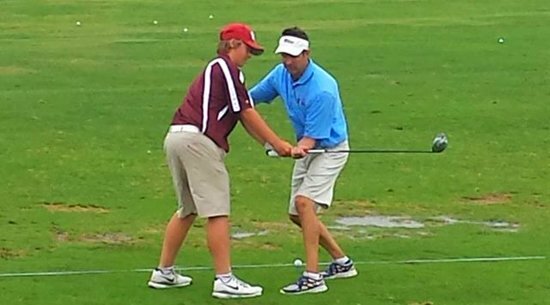 When it comes time for formal instruction of your junior linkster, Myrtle Beach has you covered. One good place to start is the Myrtle Beach Junior Golf Foundation. This nonprofit organization offers weekly group lessons, private lessons and summer camps at River Oaks Golf Plantation, plus the opportunity to compete in junior leagues and tournaments around the area. 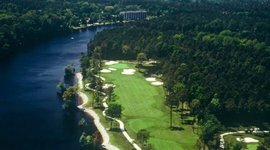 One swing does not fit all, according to founder Steve Dresser, whose academy in Pawley’s Island has built its reputation mainly on its popular three-day school, for junior golfers and adults, at True Blue Golf Course. Golf Digest magazine rated the Dresser school among the Top 25 in the nation. A seven-person staff of PGA teaching professionals stands ready to help your child find and refine his or her own best golf game. The three-day school is offered Monday-Tuesday-Wednesday or Thursday-Friday-Saturday. Every student leaves with a CD of his or her swing with voice-over analysis. 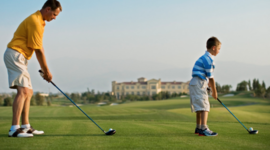 The junior academy at Legends Resort offers teaching for ages 5-17, for young players just taking up golf right through accomplished players fine-tuning their games for elite competitions. The program includes three-day schools and summer camps. Golf Magazine has ranked Classic Swing among the best 25 teaching facilities in the US. And for your convenience, here’s a complete list of courses in Myrtle Beach where kids play free. Operated by golf legend Raymond Floyd, Arrowhead offer 27 holes on three distinct courses. There's something fun for every skillset. Great for kids, these 18 par-3 holes, play as short as 69 yards. So you won't be stuck on the course for too long. 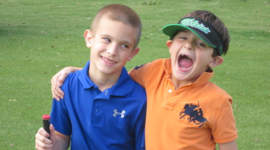 Offering lessons, summer golf camps, and junior league tournaments this organization helps kids improve their skills. This popular three-day school gives junior golfers and adults a crash course at True Blue Golf Course. It's a renowned teaching facility for ages 5-17, perfect for young players just taking up the sport, as well as those fine tuning their game for elite competitions.